Gum disease, or periodontal disease, is one of the most common dental ailments. The Centers for Disease Control and Prevention (CDC) note that at least half of Americans over the age of 30 are affected by an advanced form of gum disease. In addition, others can be affected by a milder form of gum disease and not even know it. In the early stages, gum disease causes no pain and can usually only be detected by a dentist. With this being said, it is highly important to make sure you keep your gums healthy in addition to your teeth. There are a few different ways to accomplish this, and listed below are Sunset Dental Group’s recommendations on keeping your gums healthy. Although this one seems a bit obvious, brushing your teeth does only benefit your teeth, but your gums as well. Brushing keeps your mouth overall cleaner and the action of the toothbrush stimulates your gums. 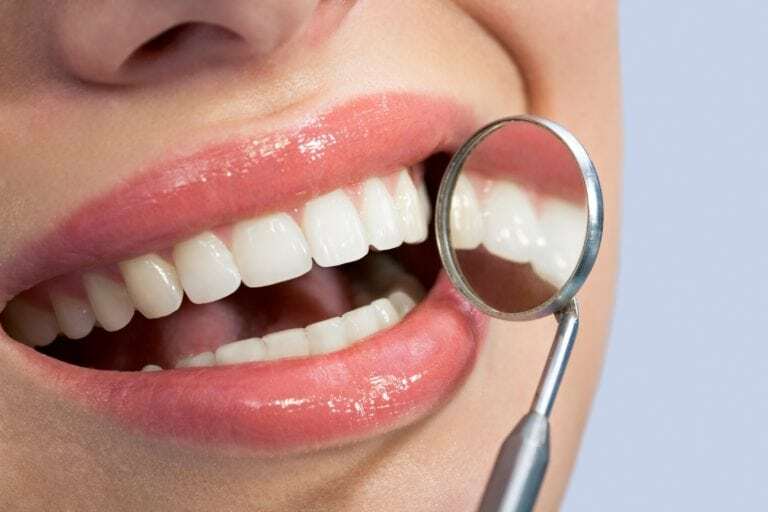 However, you do want to take special care to not brush too hard, as this can cause damage to your gums by deepening the gum pockets, and causing irritation that could possible escalate into an infection. Ideally, you should brush your inner upper-front teeth with short back and forth strokes, and your lower inside teeth with short, upward strokes. A good way to assess your brushing technique is to ask about it at your next dental appointment. Flossing is another important step to keep your mouth as clean as possible. It is important to floss at least once a day to remove plaque and tartar before they have a chance to build up. The bacteria responsible for causing gum disease reside in this plaque and tartar, so flossing is a big part of keeping your mouth bacteria free. Using the correct flossing technique is also important. When flossing, you need to make sure you curving the floss around the tooth and going below the gum line. Again, it may be helpful to ask about the proper flossing technique at your next dental appointment. There are certain foods that can actually help improve your oral health and can keep your gums healthier. Crunchy fruits and vegetables are especially beneficial to gum health because they clean teeth, stimulate saliva production, and stimulate the gums. Apples, also have the ability to remove stains because they are crunchy and juicy. Certain dairy products can also helpful to your oral health including milk, yogurt, and cheese. In addition to providing calcium to the teeth, cheese also has a resistant texture that helps clean your teeth and gums. However, not all foods are beneficial. To keep your gums healthy, you will want to avoid sticky, sweet foods, or be sure to rinse your mouth after ingesting them to prevent the sugar from sticking to your teeth and gums. Certain habits can be detrimental to your gum health and should be avoided. Both smoking and chewing tobacco weakens the teeth, damages surrounding tissues, and can cause oral cancer. Tobacco use is detrimental to your health in many ways, but can be especially harmful to your mouth since that is the access point. In addition to doing all the above, you will also want to visit Sunset Dental Group at least once every six months for a dental checkup and cleaning. Even if you brush and floss every day, there are still some areas of your mouth that need to be cleaned by the dentist. Schedule your dental check up and cleaning today!